A search for a suspect in a stabbing and shooting in National City led to a 12-minute police chase on South Bay streets, authorities said Saturday. Michael Anthony Pedraza, 27, Britney Canal, 29 and Cesar Alvarado, 38, were all taken to jail on suspicion of involvement in the Friday chase, which was the result of an incident on Thursday, according to National City Police Sgt. Chris Cameon. At about 2:30 p.m. Thursday, officers received a report of a disturbance near El Toyon Park, on the northeastern side of the city, Cameon said. Police found one victim with a non-life-threatening stab wound. The victim was also fired at but apparently was not hit. During a follow-up investigation around 5 p.m. Friday, officers found a vehicle in San Ysidro suspected of being involved in the case, Cameon said. 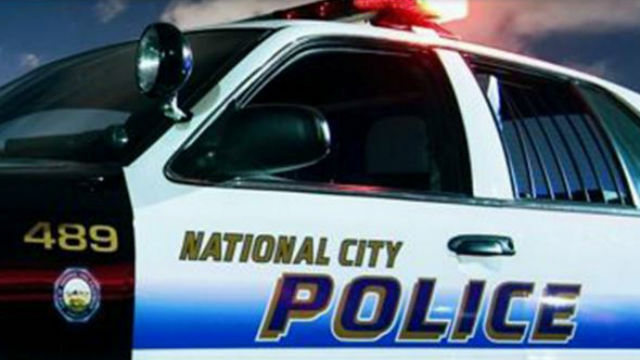 National City police attempted to pull the car over but the driver wouldn’t yield. The resulting chase led police all the way from San Ysidro back to the 1800 block of B Avenue in National City, where the driver finally stopped, Cameon said. The three arrested were being held on suspicion of various drug charges, evading police and assault with a deadly weapon.